Kitchen Tiles San Fernando: Are Backsplash Features for You? 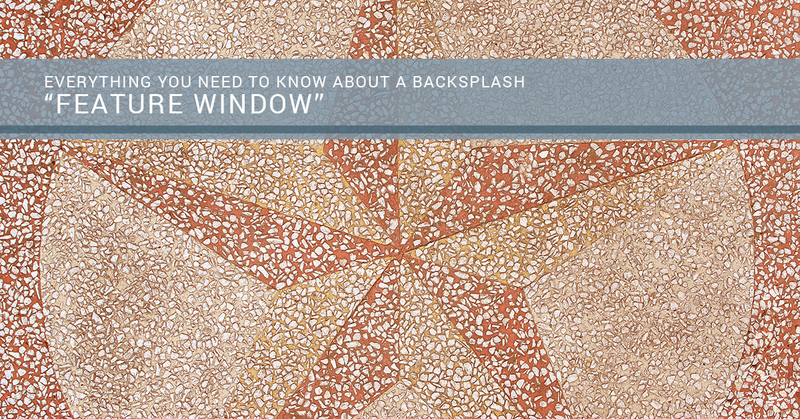 A growing trend that we’re absolutely fans of is the backsplash tile “window,” which is basically an isolated area of tile that is differentiated from the rest of the backsplash. Typically, this features a pattern, bold color, or otherwise feature-worthy section of tiles in a prominent location. But the big question is whether or not a tile feature window is right for your kitchen or not, right? Are Backsplash Features for You? Today, we’ll cover a bit of what makes a backsplash display feature appealing, then give our advice on whether or not one of these pieces is right for your home or not. First, it is important to note that many kitchens are better off without any sort of backsplash display. While the homes with kitchens that can benefit from this feature have a tremendous potential for a “wow” factor, there are far more beautiful kitchens that don’t use such a thing at all. Basically, don’t stress out about how to fit this trendy feature into your kitchen; if the feature doesn’t just “jump out” at you during the design stage, then your kitchen can easily be highlighted in other awesome ways. Okay, so how do you identify the right space for a backsplash feature? Simply put, the largest factor is location. Often, we see these backsplash windows placed above a cooktop, within the white space created by the open air between the cooktop and vent hood above. This space works because there is a wide space of backsplash tile that can (and likely will) look very uniform if not broken up. Transversely, the spaces a design window does not work very well with can be found in areas that don’t offer easy visibility, such as an above-range area that is oriented away from the kitchen’s sightline to your living areas, backsplash spaces under cabinets, and other confined or less-visible areas. The main strength of these backsplash feature windows can be found in their sheer noticeability; when done well, your guests and family should be able to see the design feature with a simple glance toward your kitchen. This can be somewhat of a downside for some kitchens, though; many kitchens feature numerous design elements that can be the “star” for your guests’ eyes to enjoy. You’ll have to consider whether a design window will add or subtract from the portrait that you’re trying to create for your kitchen. Regardless of your choice to include a feature or not, the backsplash tiles you decide to go with will be hugely important to the look, feel, and function of your kitchen – so be sure to get help from an experienced tile pro before pulling the trigger! At Transworld Tile, our team is well-versed in kitchen backsplash tile selection for a wide variety of projects and budgets. When you stop in, you’ll know that you’re getting the most experienced help the San Fernando Valley has to offer. Working with our tile backsplash experts, you’ll quickly find a tile that matches your style and budget; you’ll also be one important step closer to done with your beautiful new kitchen! Learn more and visit the team at Transworld Tile today!